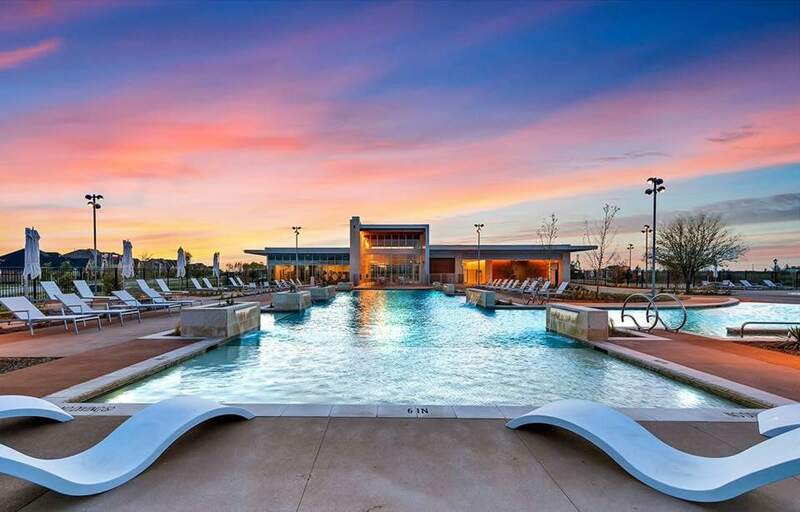 Hollyhock is a 400-acre master-planned community conveniently situated in Northwest Frisco comprising of 600 homes, top class amenities, and direct access to FISD schools. Often referred to as “Frisco’s Hidden Gem,” access to Hollyhock is easy via Teel Pkwy from highway 380 to its north and Rockhill Pkwy to the south. 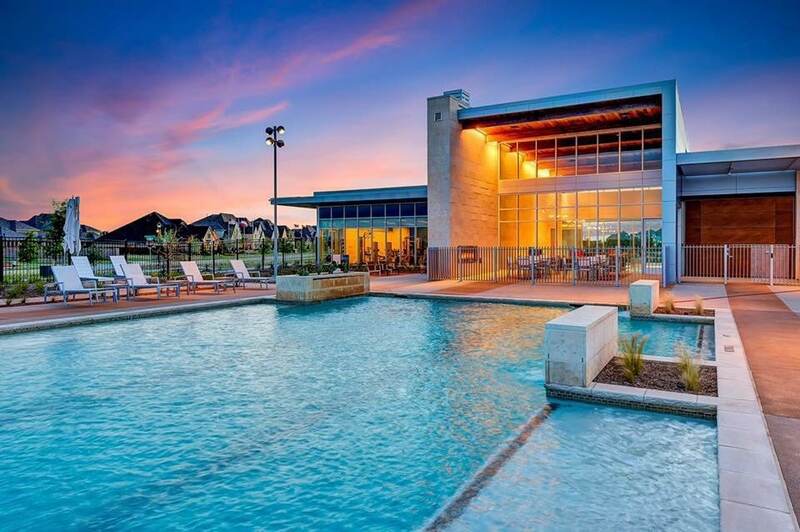 Conveniently tucked away from the hustle and bustle of busy central Frisco, residents can enjoy a tranquil setting yet be close to all that Frisco and all its neighboring cities have to offer in a matter of minutes. It’s location also affords excellent routes and commuting via the Dallas North Tollway or FM 423 to State Hwy 121, Plano, Addison and Dallas. Sports enthusiast will benefit from direct access to Toyota Stadium (home of FC Dallas), Dr Pepper Arena (Texas Legends), Dr Pepper Ballpark (The RoughRiders) and The Star (Dallas Cowboys World Headquarters and Entertainment District). As of summer 2018, homes prices range from $400 to $750k. At least six different builders are currently on-site, including Highland, Britton, Perry, Drees, David Weekly and Coventry offering top-notch plans to choose from. Each has a wide selection of choices to suit any lifestyle with unique features including larger than usual open-plan kitchens and living areas, a split-level study, and a pocket office. There are also many ‘move-in ready’ and inventory homes available in Hollyhock with lots ranging in size from 55’ to 74′. Hollyhock is positioned perfectly to avail of great restaurant and retail offerings along the 380 and Eldorado corridors. To the south of the community just a short drive away you’ll find a choice of supermarkets in Sprouts, Super Target, Market Street and Costco. To the north, a large Kroger Marketplace is literally on the community’s doorstep. Add to that an abundance of great restaurant options both north and south of the community including Mary’s Mediterranean, Bawarchi Indian Frisco, Mod Pizza, Mochas and Javas, and the newly opened Tulla Bakery just to name a few. Traveling east or west a few minutes’ drive will take you to another selection of dining, shopping, and entertainment at some of the major intersections – DNT/Eldorado Crossing, FM423/Eldorado Parkway, and The Gates of Prosper complex at 380/Preston. Looking for an old historic downtown area to walk, shop, and dine? Frisco’s Historic Downtown, now known as The Rail District, is less than a ten-minute drive away with great specialty stores, boutiques, and restaurants. ‘Fields park’ – an intimate setting with bistro tables. A centrally located fitness center with a gym filled with the latest equipment for both weight and cardio focused workouts. ‘Fields House’ – a community gathering space where they hold regular community events bringing Hollyhock neighbors together throughout the year. A dedicated lifestyle director organizes events from pool parties and outdoor movies to concerts, food tastings, and seasonal fun during the big holidays. The Hollyhock master plan includes sites for future Frisco ISD schools at the elementary, middle, and high school level to be situated right inside the community. A four-mile community trail system runs through Hollyhock for hiking and biking and connects to more than 300 acres of adjacent preserved parkland at Northwest Community Park. State of the art fitness gym on site and a pool with lap lanes.